I was in Virginia for the National Capital Area Cake Show (blog posts coming soon), and while I was there, I took the opportunity to see my sister. We went to Eastern Market in DC and wound up in Capitol City Books. For the first time in my life, being buried in books seemed like it could be a distinct possibility. And, it was actually a little terrifying. 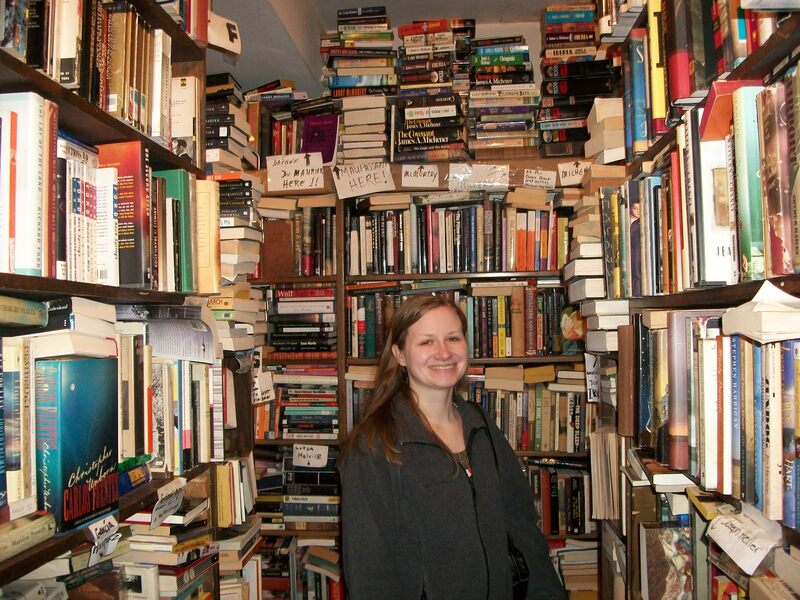 I can’t believe that I’m saying this, but I was overwhelmed by books. The store was a three story house literally filled with books. What you see in this picture is what the store looked like throughout. 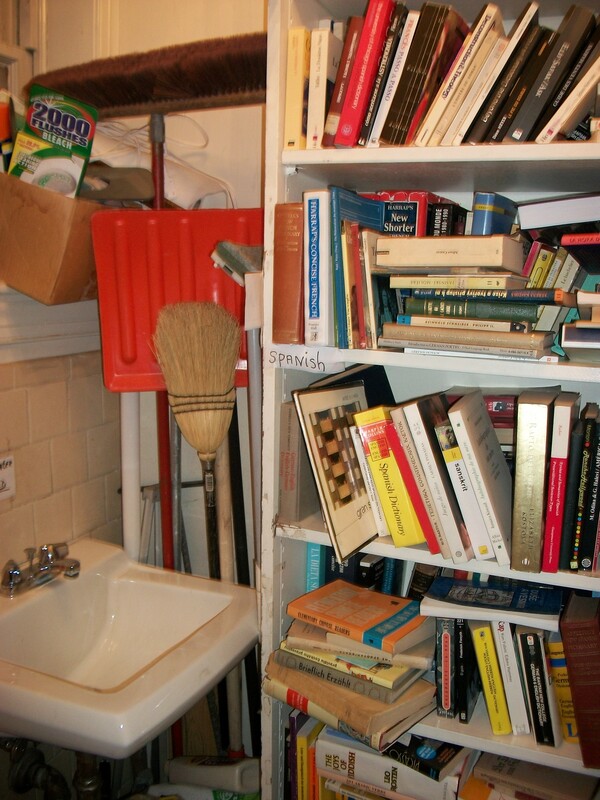 There were books on shelves, books stacked in haphazard stacks on the floor that were 30 or 40 high; even the stairwell was lined with books.And, here’s the bathroom. The sign in the bathroom was hilarious. 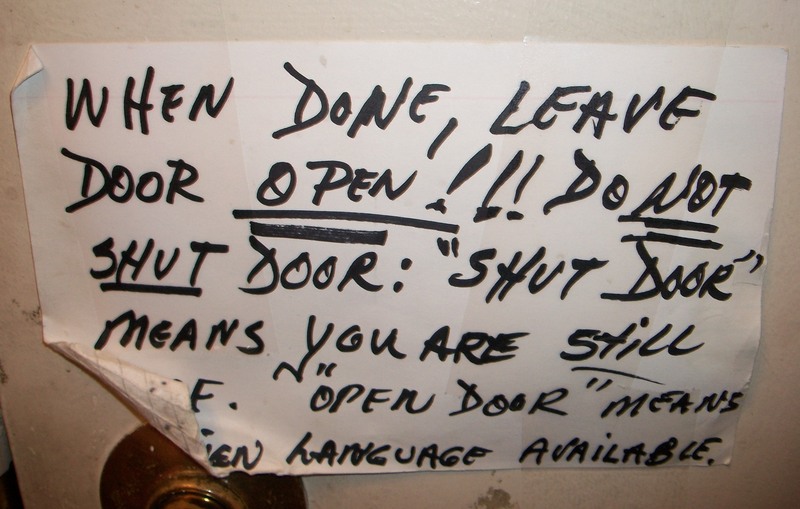 If you took too long in the bathroom, someone might miss out on the chance to get a Polish/English dictionary. And, yes, there really was one of those on the shelf. 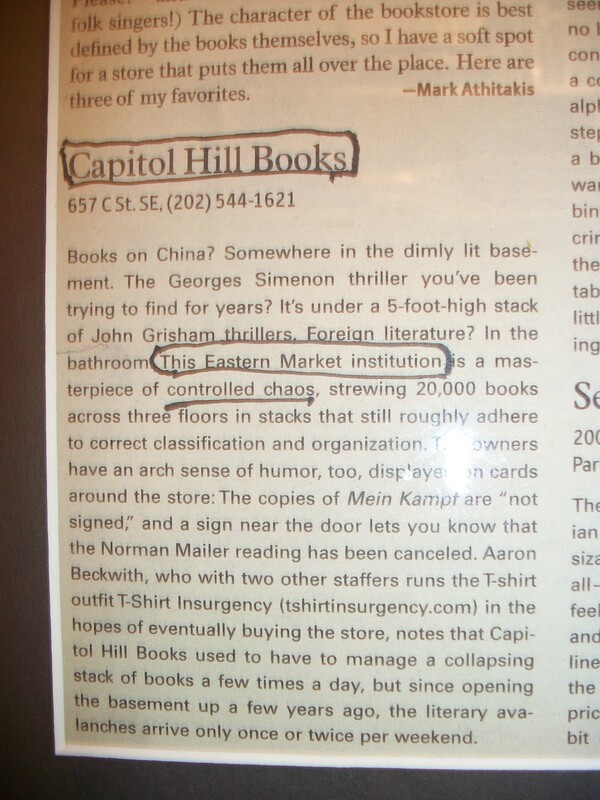 There was a newspaper clipping in the bathroom that credited the book store with controlled chaos. Yes, there really were books lining the windowsills. The window were actually stacked full of books. It was a fruitful search through the bookstore. I’m was missing four of Agatha Christie’s full-length novels before my collection of them is complete, and now I’m down to three. I found The Murder of Roger Ackroyd today! (I think there may have actually been two that I needed, but to my dismay, I didn’t have my list with me, so I didn’t realize I am still missing Curtain.) And my sister scored Jane Austen’s Guide to Dating, which seems like a book every girl should have. Wow, that’s a LOT of books!!! !